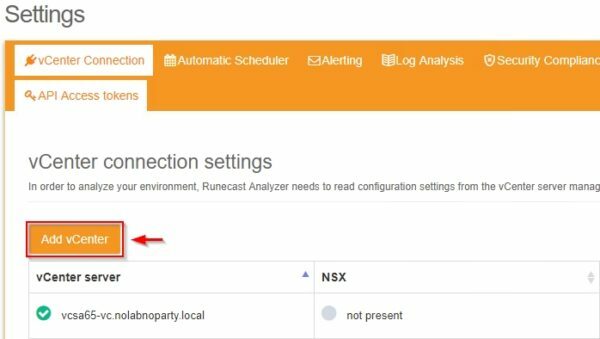 Runecast, the proactive monitor solution to check and keep the vSphere environment healthy, released the new Runecast Analyzer 1.8 version with the introduction of the NSX-V support. 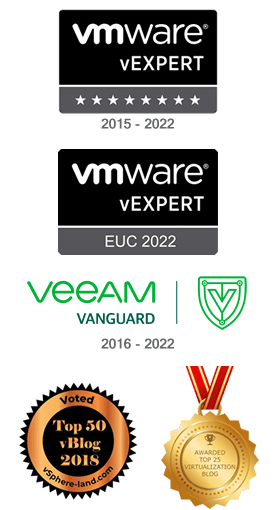 After vSAN support introduced in version 1.7, Runecast made another big step extending its capability to detect possible issues also for NSX-V. 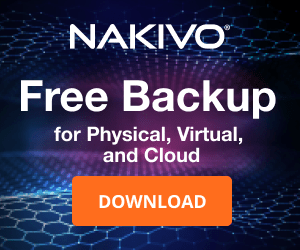 The biggest feature introduced in version 1.8 is the support for NSX-V.
Got to Update tab and, if a new update is availabile, click on Install Updates button. Click OK to confirm the update. The update is being installed. After few seconds, the appliance is updated to version 1.8. 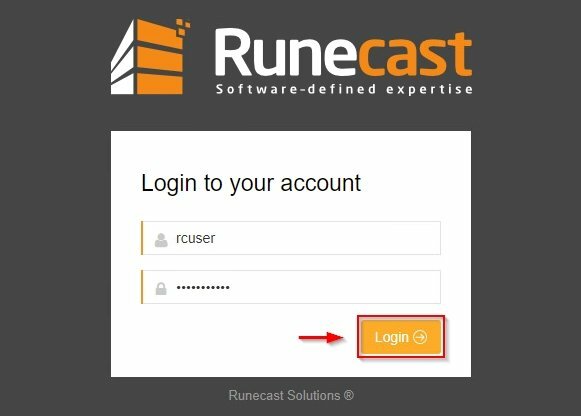 After upgrading Runecast Analyzer, login to the appliance by entering the correct credentials (default credentials are rcuser/Runecast!) then click Login. From the configuration settings page, click Add vCenter. In the Add vCenter wizard, after specifying the vCenter, a new NSX connection tab has been added. 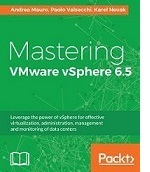 You have to specify the NSX Manager associated to the entered vCenter Server. The account used to access the NSX Manager must have at least Read permission. Click Continue. 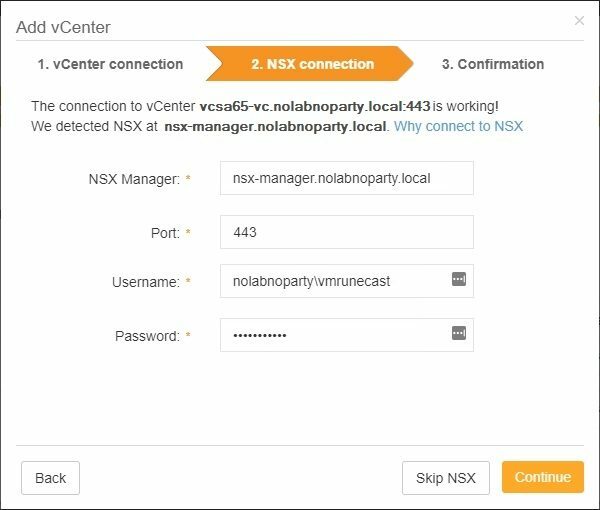 The vCenter Server with the associated NSX Manager are now displayed in the page. 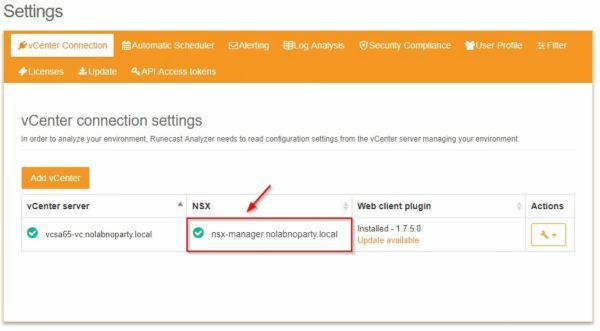 From the dashboard, click Analyze Now to scan your NSX-V deployment. 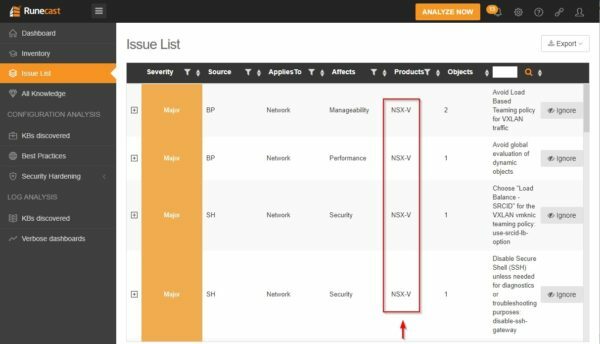 When the scan of the network has been performed, you can filter the results to check NSX-V related issues. 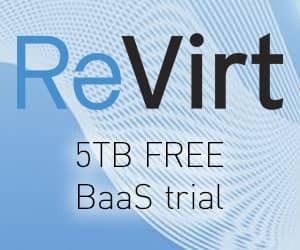 Runecast Analyzer is constantly under development and introduces new features on each release to ensure your vSphere environment stays healthy avoiding possible services disruption. 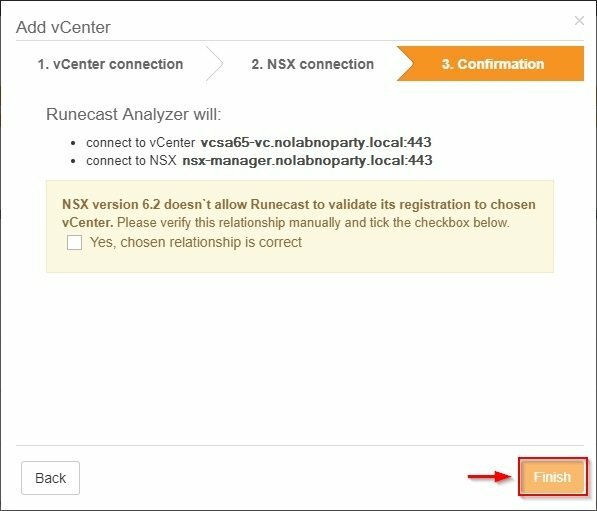 Runecast Analyzer 1.8 is available to dowload as a free 14-day trial.